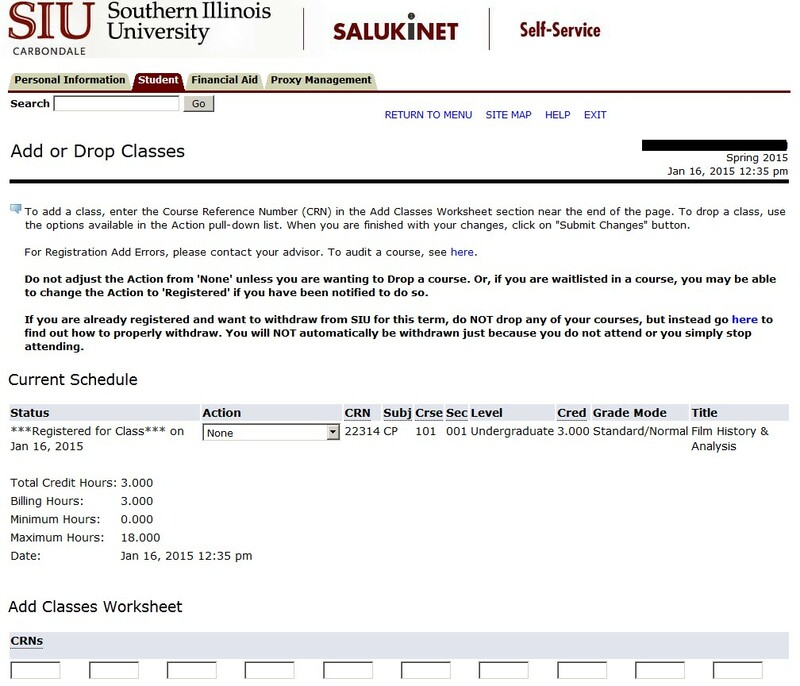 Under our Student Information System, undergraduate, graduate, and Law students will self- register using SalukiNet Self-Service. Advance registration for a given term opens according to this schedule. We have a four page step-by-step PDF handout that also lists resources and contact info related to registration and registration issues. As you read the information below, you can click on each small image to bring up a full-size image of the screen print. 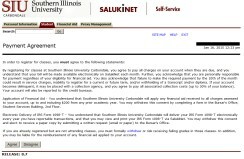 This is the new main page of salukinet.siu.edu. As of November 2016, you can see the main content – organized as tasks and task centers – without having to sign in, though you will have to sign in to launch many of the tasks. The option to sign in is near the upper right below the search bar. The search bar itself will be helpful in finding the task or task center that you are interested in. 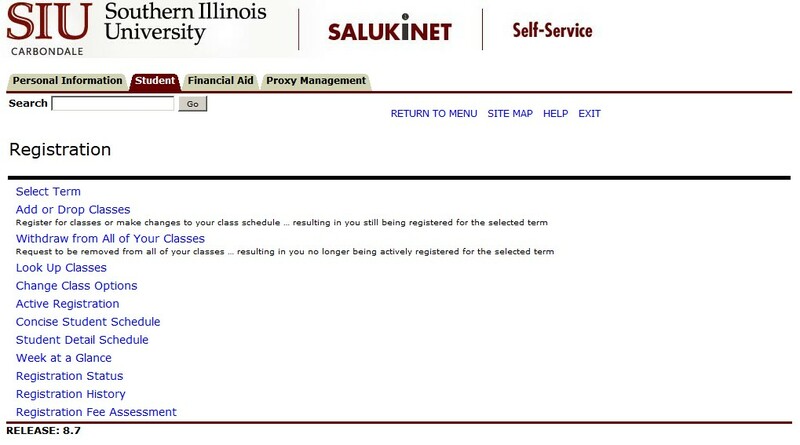 This is the main login page for SalukiNet's restricted areas. 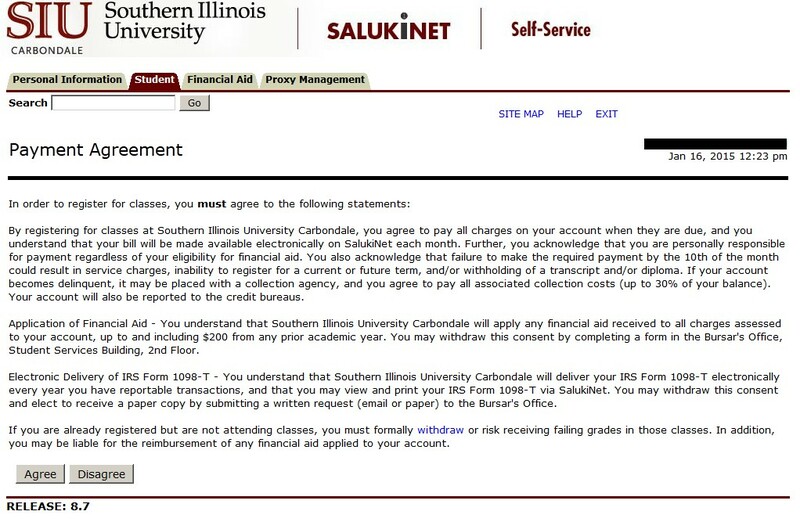 Current and former students, applicants, and faculty and staff should have a Network ID and password, which they will enter in order to log into the SalukiNet system. Do you not have a Network ID? 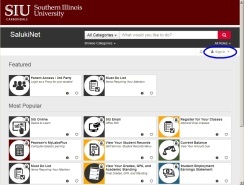 You will need to go to netid.siu.edu first to "claim" your Network ID. 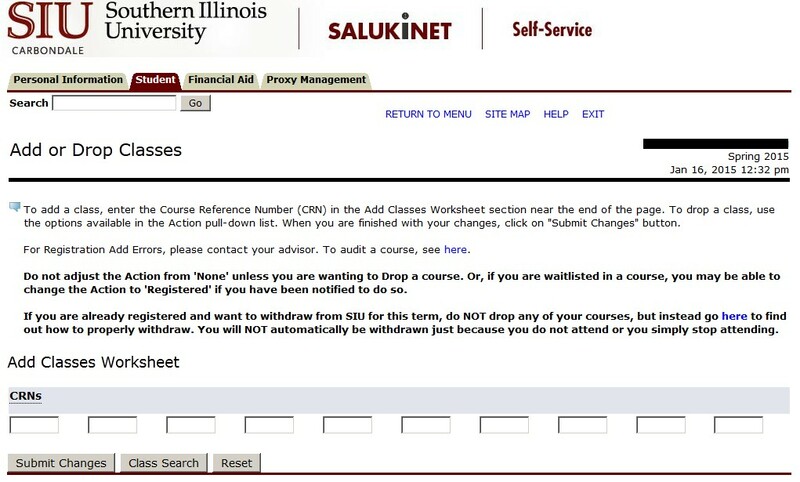 Please note that it's now possible that a user who is logged into an on-campus computer when attempting to access SalukiNet may bypass the SalukiNet login page and automatically log into SalukiNet without entering any login credentials. This is a "single sign-on" feature on the campus network. (The same may not necessarily be true for those using the campus wireless network.) 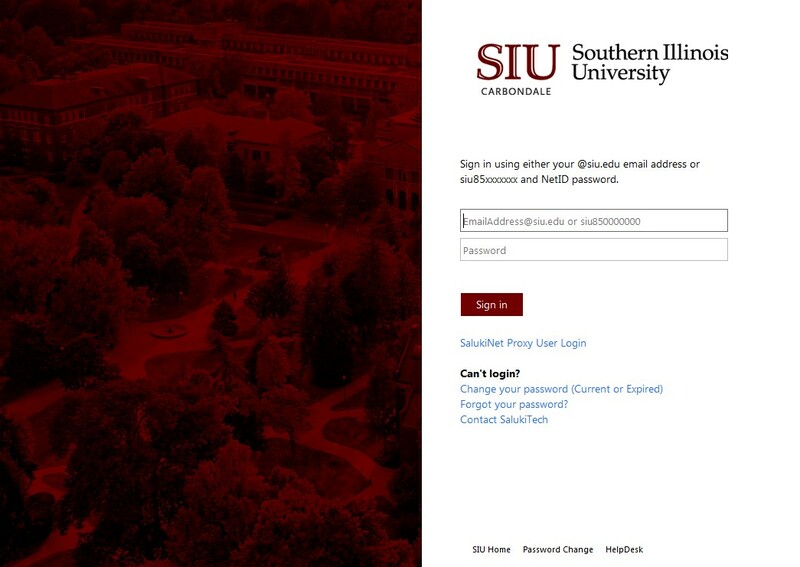 Off-campus computer users should still see and use this new login page. If you have any problems using your Network ID, you should go to netid.siu.edu and choose the Network ID Management System for assistance, or else contact the SalukiTech Help Desk at 618-453-5155 or 1-866-718-HELP during these hours. If you are on campus and wish to see someone in person, the Help Desk is in room 161-A of Morris Library. You will want to go to Self-Service Banner (SSB). SSB is really just a Web browser based presentation of relevant information from the Banner student information system, so it requires simply an up-to-date Web browser running on any current operating system. To find it, simply type "SSB" in the search bar and you will see a few results, including the task that will take you straight into SSB. There are three Registrar's Office task centers that are shown in the results as well, and the one titled Registrar -- Registration & Tuition/Fee Assessment will be of interest to students for their overall registration needs. Once you have launched the SSB task, this is the main Self-Service menu you will get. This menu will actually open up in a new tab in your Web browser. Choose the Student link to get to the self-registration area. Here's the Student menu. Select the Registration link to continue. The other links noted in the Student menu will be useful for you down the road as well. For example, you would click on the Student Records link to see your grades, and you would click on the Student Account link to see your Bursar bill. Here's the Registration menu. You'll likely want to choose the first link to get going. 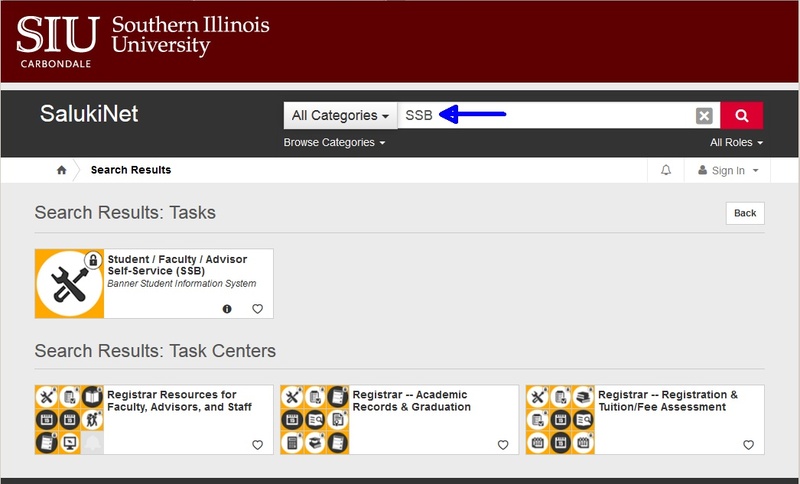 If you have already picked out your classes in advance (with your advisor) and know their CRNs (Course Request Numbers), you can choose the second link. If not, you can choose the third link and start searching for classes. Here's the Registration Status information. This student is not eligible to register because of one or more holds. But, even after clearing up the holds, the student would still need to be readmitted, since he or she has sat out one or more semesters since last being registered. If you don't see any warning triangle symbols (and their messages in bold type), you should be good to go (though you should check back right before registration opens in case your status changes at the last minute). If you had chosen the Add or Drop Classes link from the Registration menu, you might be seeing this RUN Verification page. (Some graduate students and most undergraduate students will.) If your department requires it, you will have to enter a RUN number in order to add or drop courses. You will be provided this number when you meet with your advisor to plan your schedule for the upcoming term (new students may receive it at New Student Orientation). The RUN will stay the same for any registration changes for this term (though it will be different for future terms). If you are on this page but do not yet have your RUN (or cannot remember it), you can not continue with the registration process. A RUN from a past term will not work for this term. You need to check with your advisor to get your RUN. For most undergraduates, once they have successfully registered for the term, they will no longer be prompted for the RUN when they return to make registration changes for that particular term. Once successfully past the RUN number prompt, you will be brought to the Payment Agreement page. Here you will be asked to agree to certain payment conditions that will come into play as the result of registering. If you do not agree, you can not continue with the registration process. 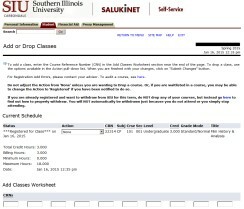 This Add or Drop Classes page is really the main registration page. It is where you enter the CRNs of the classes for which you're trying to register. You can either enter them directly in the boxes along the bottom, or search for them and have them populated into those boxes from the search results. If you've done your schedule planning in advance and have the CRNs, then you can quickly enter them here without having to do any searching during this registration session. Once you've entered the CRNs, click the "Submit Changes" button. Please note that some classes will have a waitlisting option available for them. So, if you cannot add a class because it is full, you can choose to get on a waitlist if one is available (otherwise, you will need to check back from time to time to see if that class has any openings). If you were successful in adding a class, you will be shown a modified version of the previous page with a mini schedule included on it. From here you can add more CRNs, or you can take other Actions (via a drop-down box) on your current CRNs. You can go back to the Registration menu and print out a more robust schedule by choosing either the Concise Student Schedule or the Student Detail Schedule, or you can print out a calendar of your schedule by choosing the Week At A Glance. 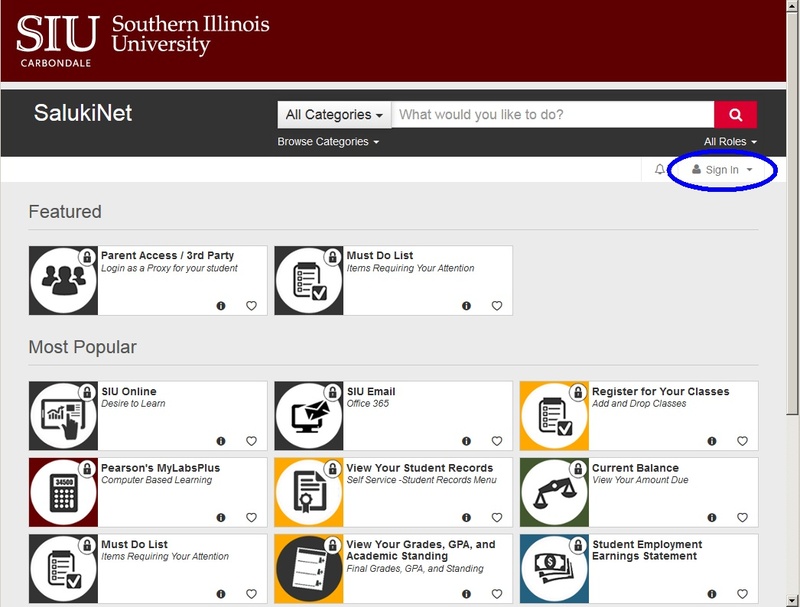 When you are done with registration, you can choose from the four options in the upper right corner: you can return to the main menu (from earlier), you can go to a site map of the menus (shown here), you can access some context specific help, or you can exit the Self-Service area (which will close this tab in your Web browser for security reasons, leaving you back within the main SalukiNet portal). That's really all there is to using the self-registration process. For some additional details, including information on using the class search features (if you don't have CRNs in advance), we have a four page PDF handout here.